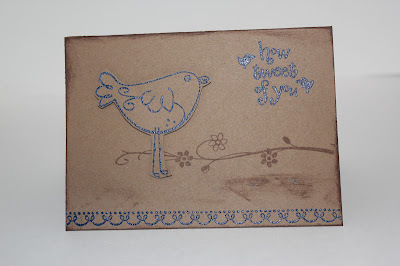 Hiding in My Craft Room: HIMCR #50 - Embossing! Happy Saturday!! Can you believe we are only TWO weeks away from a whole year of challenges! The challenge this week, the 3rd week of the month, is Technique SATURDAY. This month it is Embossing! Actual get out the heat gun, embossing! I haven't done this in forever, it seems and I really love this technique. I can still remember my fascination the first time I tried it and it amazes me still! You have until Friday, June 22nd to link up your creation (see linky below) to get entered into the monthly drawing this week. When uploading to online galleries please use code HIMCR50. 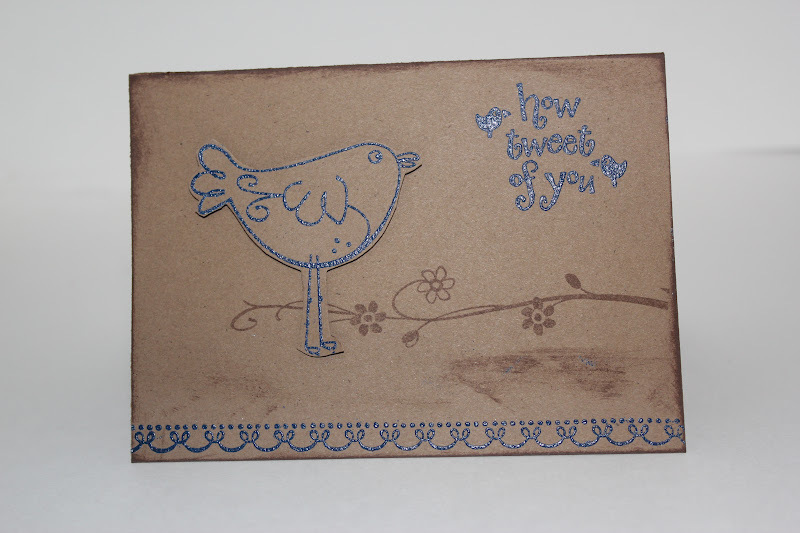 I did some dry embossing too using my Cuttlebug and an embossing folder! Card front: SU Purely Pomegranate 4" X 5 1/4"
Your card is so pretty!! Love the colors! Hi Laurie, I just love your card!! What a great idea!! The DT did a fabulous job too!! Wow! Such beautiful creations!! A great theme too. Smiles.. and almost a year already..
What a wonderful card! The embossing is perfect! HIMCR #49 - Super Scraps Saturday!